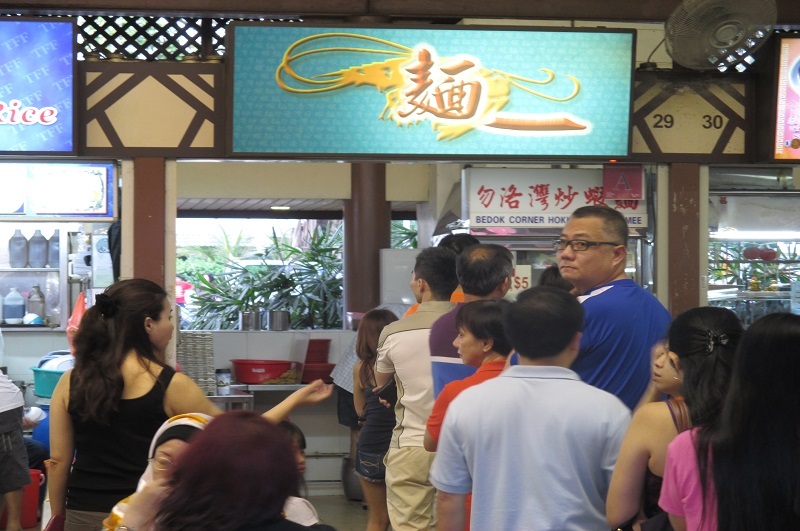 Bedok Corner Hokkien Prawn Mee 勿洛湾炒虾面 – Worth the time to queue? Bedok Corner Hokkien Prawn Mee is definitely one of the most popular stalls in this relatively long history food centre judging from the perpetual queue. 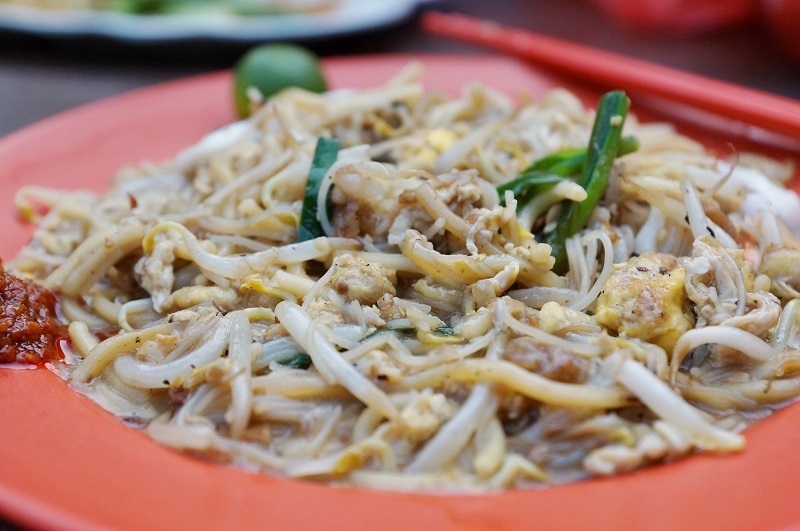 Besides the fried Hokkien prawn mee, it house quite a few other famous food stalls like the Cheng Ting, fried oyster and great place for good Halal food too. It was a mistake that we came at the evening peak hours; at 6.30pm, it has already more than 30 patrons waited in the snaking queue in front of the stall. 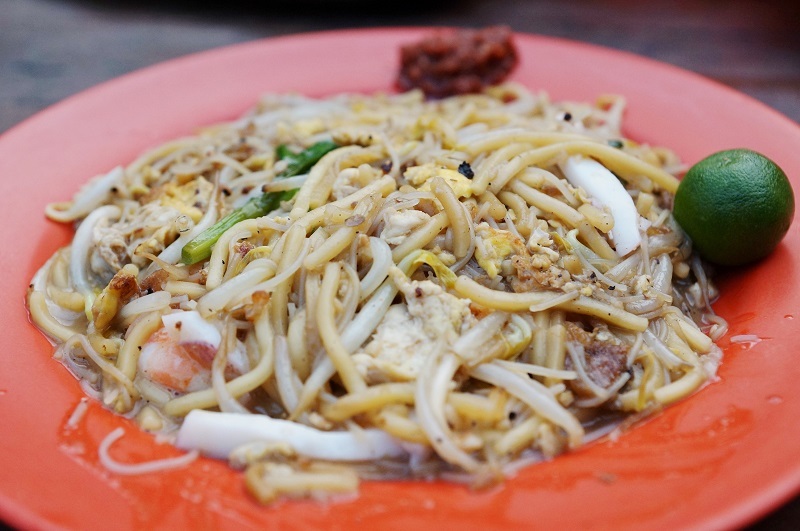 We waited for a solid 40 minutes for the plate of fried Hokkien mee and naturally it came with high expectation. The uncle cooking the Hokkien mee was never flustered by the queue, taking his own pace to cook the mee, slow and steady is what we can describe him but that also explained the reason of the long queue. Bedok Corner Hokkien Prawn Mee has a gooier and moist version, thin bee hoon was used in higher proportion compared to yellow noodle, it is understandable that thin white bee hoon has a higher propensity to soak up the flavour from the stock and gives the plate of Hokkien mee more flavour. However, the plate of fried Hokkien mee presented was quite a disparity to our belief, something was amiss in the plate, we are fine with the mee texture but the most important seafood flavour to make a good Hokkien prawn mee was obviously missing. Our verdict, we tried real hard hopefully to identify some good things about the plate of mee but sad to say we failed. The critical mass of a good Hokkien mee is obviously not present here in Bedok Corner Hokkien Prawn Mee. Disappointment is our conclusion with the time spent for the plate of mediocre Hokkien mee, could be our luck but this is not our first visit either.